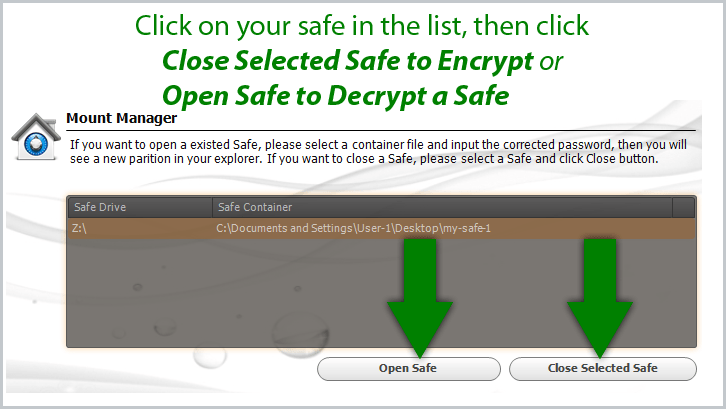 Bsafe is free encryption software for Microsoft Windows. This app can encrypt your documents, photos, videos, audio and other files that you want to keep private. It uses 256-bit AES (Advanced Encryption Standard) to encrypt your data and then you simply enter your password for decryption. You can create numerous safes with different sizes. 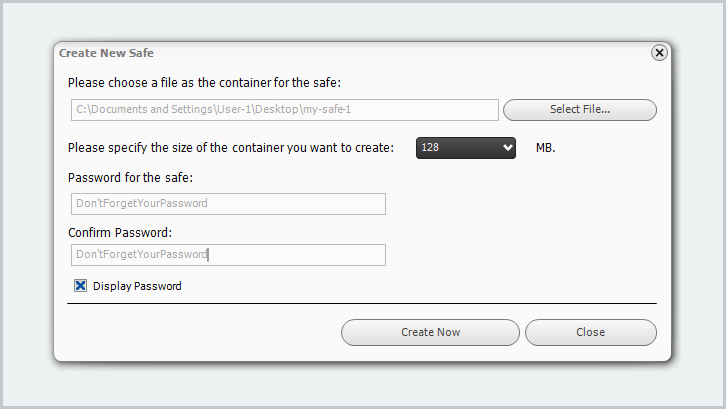 To create a safe, you just go through a simple wizard to create a file container, set the size and then create a password. You will then see the container file that you created in the Mount Manager, which means that it is open (not encrypted). 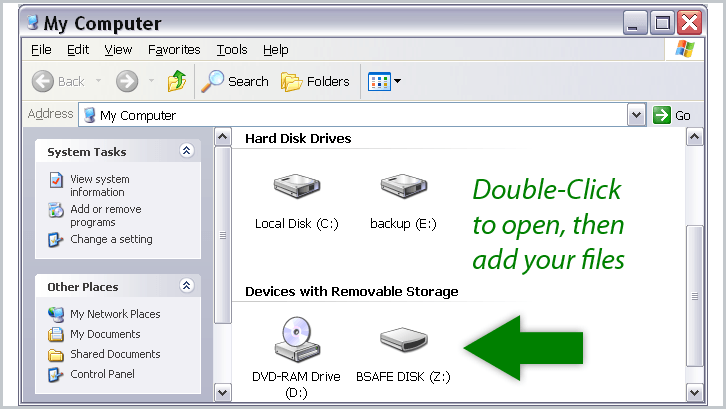 Go to My Computer and you will see your safe with the name BSAFE DISK and a drive letter. Double-click on it to open, then copy or drag your files into it. When you are finished adding your files to the drive you can encrypt it by closing the safe. 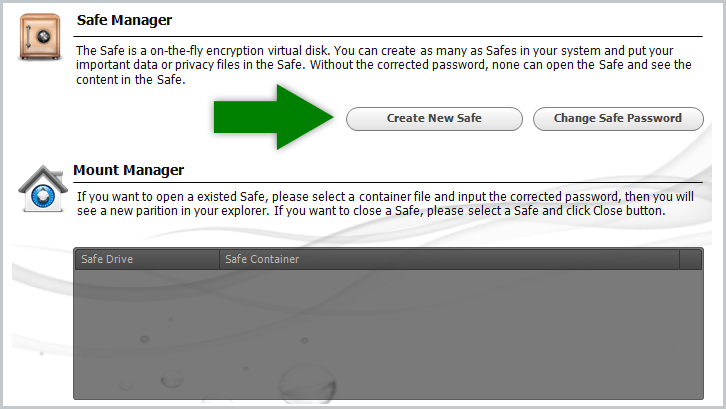 Just go back to the Bsafe window and click on your safe in the list, then click Close Selected Safe. 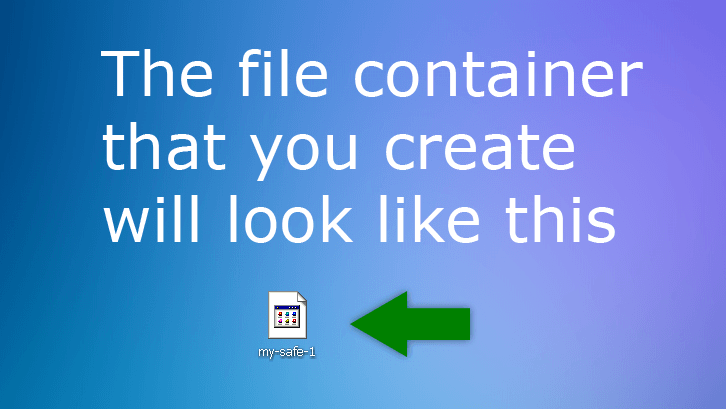 You can move the file container anywhere on your computer after creating it. I like to do regular backups of the files on my computer and I always include my file containers. 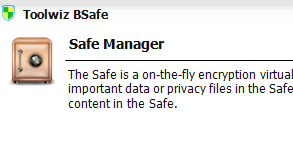 Bsafe is very good encryption software and I have nothing but positive things to say about it and the team that made it. Note: It is very important that you remember your passwords because you will not be able to decrypt your files without it.